Greece needs some “fiscal room” that will allow the economy to recover, New Democracy President Kyriakos Mitsotakis said on Monday during a speech at “Astoria” theatre in Heraklion, Crete. He said his party is ready to “govern well”, focusing on lowering taxes for businesses and households. Mitsotakis also shifted some of the blame for Greece’s economic depression to its creditors. “The country must get back on track. This is our duty. But it is also our creditors’ duty who also share part of the blame. They are responsible for tolerating over-taxation instead of cost cuts. They are responsible for agreeing to [former Labour minister George] Katrougalos’ monstrosity of a social security law. They share responsibility for the high surpluses that bind the country for many years,” he said. Mitsotakis then reiterated his request for elections to “allow the country to breathe”. 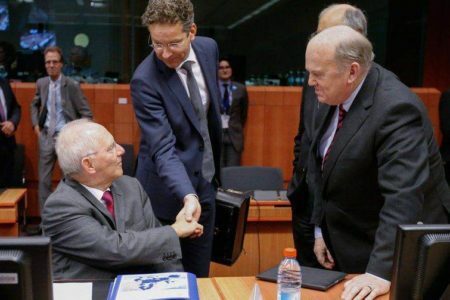 “The sooner this happens, the better for Greece,” he said.